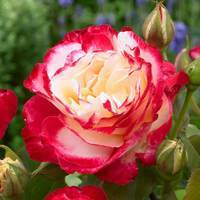 In 2012, Rose 'Moment in Time' was awarded the prestigious and well-deserved RHS Rose of the Year title, and it isn't difficult to see why. 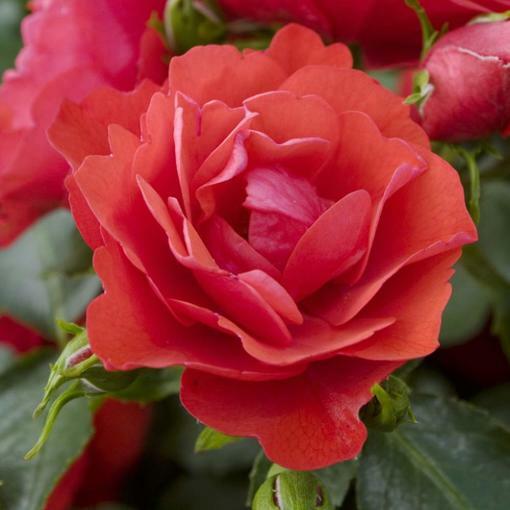 This hardy and resilient floribunda continually flowers from June to September with clusters of fragrant, semi-double blooms in daring, pillar-box red. 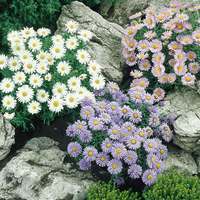 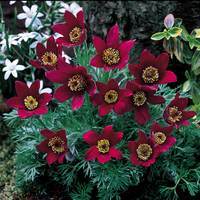 Reaching a mature height of just 60cm, 'Moment in Time' provides excellent ground cover and creates a particularly dramatic display when planted at the front of a border, or even in window boxes. 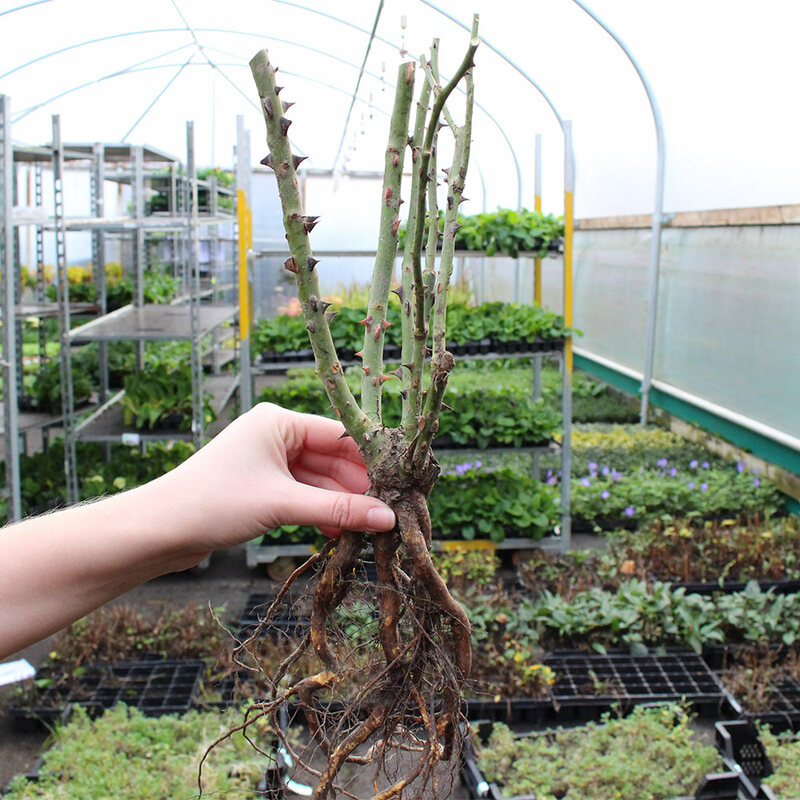 Not to be underestimated, this hardy specimen is as disease and frost resistant as any taller rose available today, demanding only full to partial sun and humus rich, well-drained soil to ensure good flowering. We supply only top quality two year old rose bushes, bare rooted and wrapped to prevent roots drying out, which are pruned back and ready to be planted on arrival. 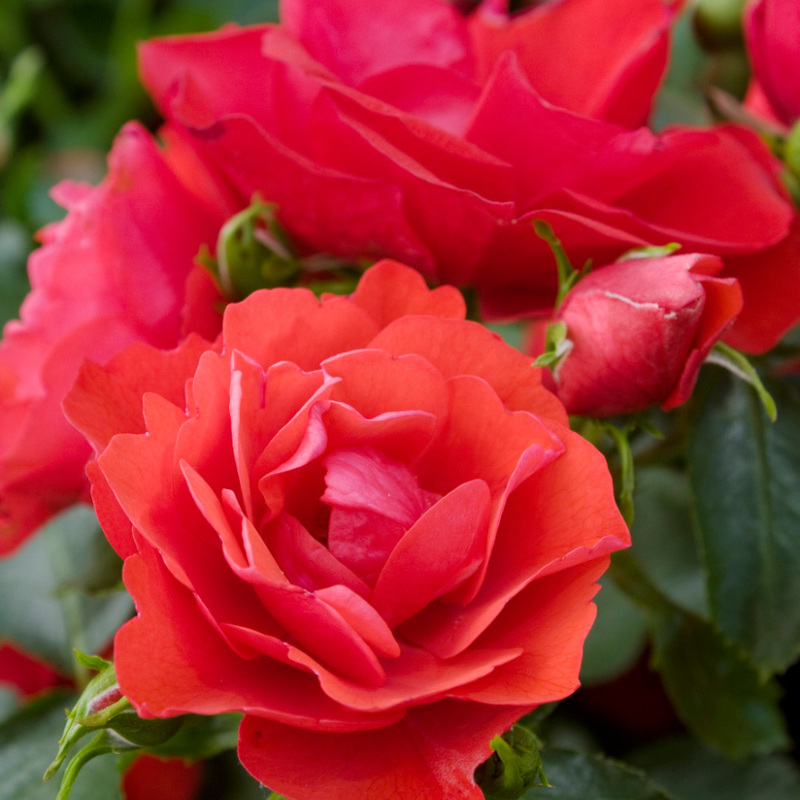 'Moment in Time' is also a firm favourite of the British florist, so we recommend that, instead of dead-heading, the budding stems are simply cut back and the flowers enjoyed in a vase indoors or in a dramatic bouquet.